Global Life Distribution (UK) Limited, which trades throughout the UK as Promis Life, will complete the relocation of its Hull team of more than 50 to the Worx development at the end of this month. The move means Worx is now close to capacity with the arrival of Promis Life and four other business tenants taking the total number of people employed in the building to more than 300. Owners Allenby Commercial, who bought the building in 2016, are continuing a modernisation programme which has enticed leading health and safety equipment supplier Arco, Springboard children’s nursery and Planet Gym. Mad Volume Climbing will open in the coming weeks. The Hull Daily Mail, which moved to the purpose-built site in 1989, continues to occupy part of the building. Promis Life opened in Hull in January 2015, renting space in George Street from leading call centre company ResQ. The company’s strategy of TV advertising supported by magazine and brochure campaigns rather than cold-calling has proved successful in a highly competitive sector. 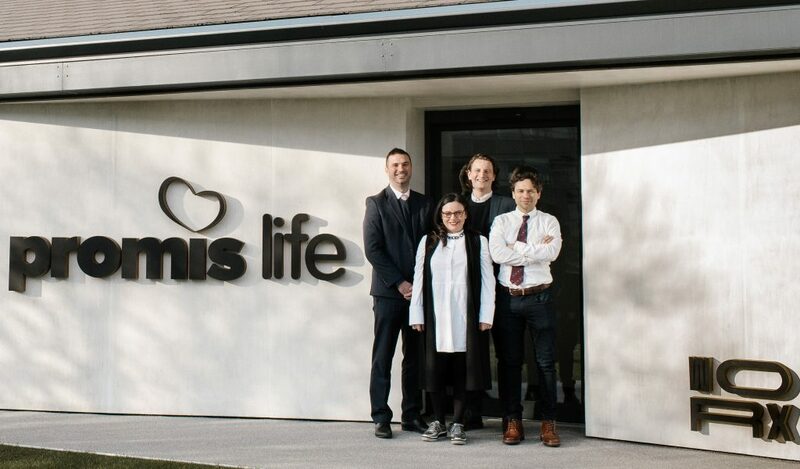 Jiin-Wei Ewe, the company’s Chief Sales Officer, said the investment will drive growth in Hull and in the London office as Promis Life pursues ambitious policy sales and cultural engagement targets. She said: “We looked at other places in Hull and elsewhere and in the end we moved very quickly. We could see what they had done here with the other businesses which have moved in and that made a big difference. “We wanted something which is calm, warm and home-like and we have invested in Hull because we have a great sales team and we want them to build careers with us. Paul White, Agency Director of Garness Jones chartered surveyors, said the variety of businesses within Worx and the creativity of Hull-based Red Frog Design were major influences on Promis Life’s decision. He said: “Promis Life didn’t want just another call centre, and there are signs of innovation throughout the office with breakout space, learning and training areas which are open plan to encourage interaction, a kitchen and eating area and even table tennis and 3D noughts and crosses. “They provide further evidence of the demand from progressive businesses for a high-quality working environment with facilities which can boost productivity by also promoting relaxation. The presence within Worx of a children’s nursery and a gym with an indoor climbing centre coming soon all adds to the appeal and it’s no coincidence that demand has been so high. Georgia Allenby, Design and Marketing Director of Allenby Commercial, said: “Our vision when we bought the building was to adopt the same imaginative approach that we continue to take at our other sites in and around Hull including The Bloc, The Maltings, Paragon Arcade, Hideout Hotel and Danish Buildings. “We have transformed the exterior of the building with an ongoing landscaping scheme and we have created stylish, independent entrances to each refurbished office. Inside, we have turned hidden gardens and courtyards into usable social space, removed internal walls and dated ceiling tiles to open up the building, and replaced kitchens, WCs, heating and air-conditioning systems. Be the first to comment on "Promis Life pledges job creation after expansion in city"